You’ve lived your life the best you could so far, setting your priorities, and giving 100% to everything and everyone else. As much as you have enjoyed it, it’s catching up to you, and not feeling good. Now, it’s time to focus on you, to have the quality health and life you have longed for, making your difference in the world. 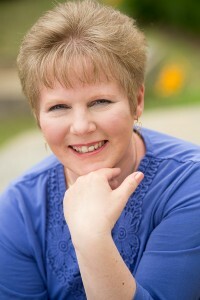 My name is Kelly Myszkowski, and I help caring, dedicated, professional midlife women like you understand the true source of your stress and pain (physical, mental, emotional, and/or spiritual), find who you really are and what you really want, to create well-being for your body, mind, and spirit. About 20 years ago, like so many of my clients, I thought I had a great life, but my body wasn’t agreeing with me. Only, I didn’t realize the connection. I began experiencing some work-related physical problems with my hand, neck, back, hip, and knee. My doctors were puzzled and speculated that I had fibromyalgia or lupus, or other “unmentioned’s”. I knew that wasn’t the case, but didn’t know what “was”. I finally found myself in the caring hands and heart of a very gifted therapist who used craniosacral therapy and related work to help people as no one else had been able to do. Her reputation was that she was the “go to person” when nothing else worked. I noticed a change in how I felt just as a result of the intake process and evaluation. It is neither typical for that to happen, nor is it out of the question. This had my attention. Magic! I began to notice more both during and after my sessions as I learned to be more sensitive, and attentive, to what was going on in my body and my life. Not only did my body change, I began naturally, gently, and organically to relate to myself and my life differently. I gained new insights and perspectives. I was not as stressed. Whoda thunk? My life began to evolve organically. Things that no longer served me began to fall away making room for “the new”. It was exciting, yet at the same time, felt very matter-of-fact. What I realized was that I had been dismissing the little voice in me whispering, “wouldn’t it be neat to have a life in which you make a huge difference in the lives of others?” A life in which I felt like I had something really special to offer the world that was YOU-nique to me, mattered and was a perfect fit.. On-Purpose. I thought that was a little too “dreamy”. I bet you know what I mean….???!…. My Soul was whispering to me in my stresses and in my body. It had to speak louder for me to listen. When I did listen, I began to feel, live, and BE better. A Most Valuable Lesson…My “Pearls”…. Here’s what I learned: Your body knows exactly what you need to heal and be better. It has just been overwhelmed and under-resourced, and therefore stuck in its current patterns. Given the chance, and the resources, no matter how old the pattern, wound, illness, insult, it can heal itself. It may not return to your idea of 100%. If it doesn’t, there IS a good reason. For one thing, it continues to respond to your life. If you continue to be stressed, it will show in your body. A key difference in this approach: listening to, supporting, and resourcing your Inner Wisdom. Healing and growing from the inside out, vs. an outsider imposing an agenda from the outside in. HINT: you did this long before you were born, and that capacity is still keeping you here…..
To create lasting change you have liberate, and learn from, the root of the stress, and pain (physical, mental, emotional, spiritual), and activate the instinctive memory of who you were born to be. What is going on in your life IS going on in your body. What is going on in your body IS going on in your life. Mind=body. We haven’t been taught that traditionally. That can make it a hard concept to understand, embrace, and apply. That’s where I come in. The same principles I live by – listening to one’s Inner Wisdom to support healing and make choices, vs. imposing an agenda from the outside – guide all of the work I do with clients, and give direct access to that instinctive memory of who you were born to be. My greatest gift is my ability to listen deeply to you, find what is awaiting discovery beneath the surface, shedding light on it giving you new perspective and insights, and helping you to discover and embrace the solutions that fit you best. I love connecting heart to heart with clients, helping them to see their situation clearly, transform their pain points into empowering opportunities, and create a life they love. Their Best Life Yet. For an amazing next chapter! On-Purpose. The Personal Side of Kelly Myszkowski…. On the personal side, I love connecting and sharing with others, learning, growing, laughing, having fun, and living On-Purpose. I am committed to living my best life yet, and helping others do the same. It IS my life. It isn’t work. When not focused on that, I love spending time walking, being outside, watching the sunset, and being near the water when not home with my husband on our (ok, really his – 4th-generation) dairy farm. If you wish to talk with me to get some insight into the “shouts” in your life, email me to request a complimentary Self Discovery and Clarity consultation. 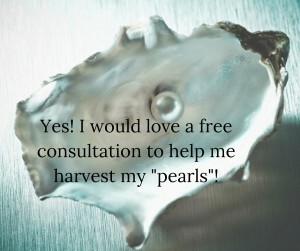 Click here to apply for your consultation. Don’t just feel better. BE better! You will gain new insights into what is keeping you where you are. You will discover exciting new possibilities. You’ll walk away with a clear roadmap of action steps you can take to reach your goals. If it looks like we are a good match, I will happily share with you how I can support you, and I may even invite you to work with me. Don’t be offended if I don’t – it just doesn’t make sense for me to work with everyone. I see your Light! I see your Greatness! Talk to you soon!